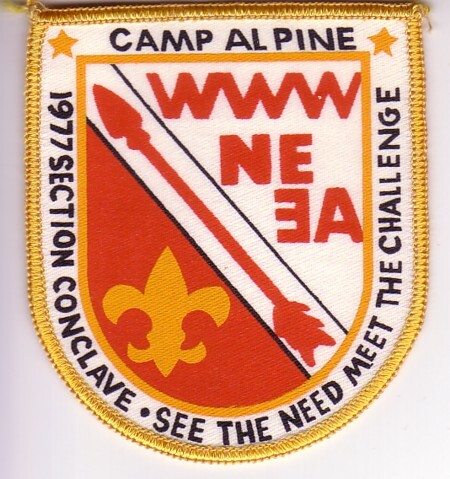 Here is another Section Conclave issue from Section NE-3A held at Camp Alpine in 1977. While it is not indicated on the patch, this Conclave was hosted by Shu Shu Guh Lodge #24. The theme was, See the Need Meet the Challenge. A bit different from previous conclave patches, this one is silkscreened rather than embroidered. Additionally there was a silkscreened neckerchief. This was home-made and likely screened on the event from blanks cut from sheets or other linens and unhemmed.